Sometime in the late 2000s, a young software engineer who voluntarily ran social media propaganda for the Rashtriya Swayamsewak Sangh and the Bharatiya Janata Party got an opportunity to attend a BJP social media meet in Bangalore. Among the people who saw this young man speak there was the then Gujarat chief minister, Narendra Modi. “Why don’t you do something for me,” Modi said to him, encouraging him to promote Modi on social media. Around the same time, the Congress party was telling Shashi Tharoor to go easy on Twitter. Rumors on WhatsApp are leading to deaths in India. The messaging service must act. First published in The Washington Post, 9 June 2018. “Suspected child lifters are carrying sedatives, injections, spray, cotton and small towels. They speak Hindi, Bangla and Malyali. 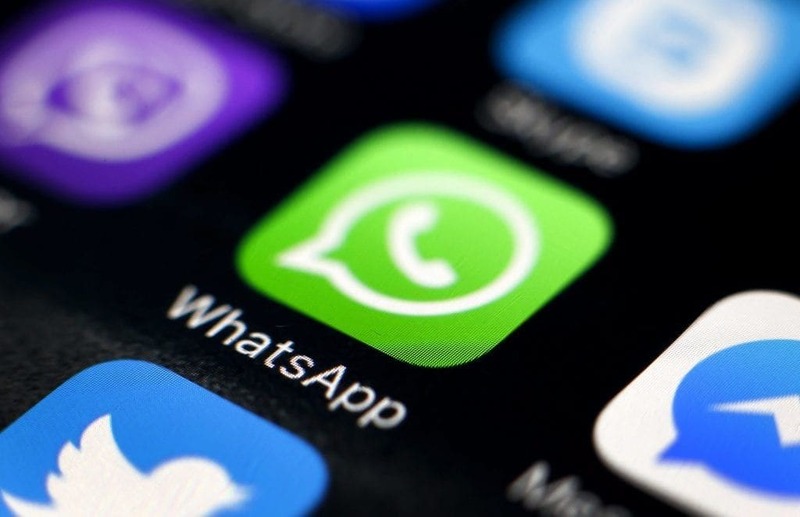 If you happen to see any stranger near your house immediately inform the local police as he could be a member of the child lifting gang,” said a message circulated in India on WhatsApp, the Facebook-owned messaging app. The message led to mob violence that killed seven people in Jharkhand state in eastern India last year. Since then, the Indian government and WhatsApp have not been able to stop fake rumors on WhatsApp. The deaths continue. At least nine people have died this year in violence linked to WhatsApp messages including two men in the northeastern state of Assam last week. The men had stopped their motorcycle to ask for directions. The common thread in most of these cases has been a video — purporting to show a child kidnapping — being forwarded by one person to another, warning people to keep their children safe. Victims in different parts of India have included a 55-year-old woman innocently offering sweets to a child; a man who unknowingly entered a mango orchard and didn’t speak the local language; a transgender person in Hyderabad; an a man whose only crime was that he seemed to be wandering aimlessly in a village in the southern state of Tamil Nadu. Despite the deaths, neither WhatsApp nor the Indian government has deemed it fit to warn the public against such rumors. The platform’s largest market is India, and as India heads into an election year, the misuse of WhatsApp, a critical platform for political parties, is likely to grow. Facebook and WhatsApp cannot shrug off their responsibility. Both companies have said almost nothing publicly about the deaths. When people are losing their lives to rumors spread through WhatsApp, the company needs to not only say but also do something about it. For many Indians, WhatsApp has become everything. Be it work, or catching up with friends, sharing jokes or participating in political conversations — everything happens on WhatsApp, much more than on Facebook or Twitter these days. The number of Internet users in India is about to hit half a billion this month. There has been a rapid increase, from 277 million users in 2015 to 481 million in 2017 . The growth is faster in rural areas than in urban India. India has 200 million WhatsApp users, compared with 270 millionFacebook users. At a time when the Indian government is feared to have been increasing online surveillance, Indians prefer to trust the encryption of WhatsApp. The downside to these new adopters of the Internet, particularly in small towns and rural areas, is that many take everything they receive at face value. They don’t know that forwarded messages are to be taken with a pinch of salt, and be subjected to verification from trusted sources. The problem of fake news forwarded on WhatApp has grown so huge that mainstream news sources, top journalists and even politicians have been falling for hoaxes. In Hyderabad, police marched through the city with loudspeakers asking people not to believe in rumors spread on social media. Some people have been arrested for forwarding false messages, too. In some states, the police are beginning to keep a watch on viral messages and videos online in general. The police are also beginning to design their own social media messages, spreading awareness against fake news and rumors through social media itself. What makes the WhatsApp rumors particularly difficult to tackle is that WhatsApp is a secure, peer-to-peer platform. There is no link for a shared message, no database to search. Since it has end-to-end encryption, the company says it can’t look at the messages. The only server they are stored on is the user’s phone. When asked whether WhatsApp had a responsibility in the deaths, I did not receive a response. The platform needs to think of more innovative technological solutions to the problem. It should also join hands with the Indian government to spread awareness against its misuse. WhatsApp is rolling out a new feature that will let users know whether a message they have received was originally created or forwarded. This should help. The answer to WhatsApp’s problems will lie in WhatsApp itself. The company should disseminate videos educating people about how information flows on the Internet. There could be videos in various languages, by national celebrities and local public figures, which could be circulated on the app. First-time Internet users need education about what they should and should not trust, and how they should verify what they receive. The Indian government can’t do this alone. WhatsApp and Facebook need to step up before more Indian lives are needlessly lost.